Valentines Day Mini Portrait Sessions! Young in age or young at heart – Contact us today (or any time before Friday 13th Feb 2015, availability permitting) to book in your very own Couple Love MINI Portrait session! Each session will be held at the Hamilton Rose Gardens, between 8am and 10.30am. You will receive an awesome 5x High Resolution digital files on disc! Any other digital images can be purchased in addition to your 5x complimentary, following the shoot. It’s the steal of a century for a portrait session with your other half – get in quick as we have very limited spaces available. 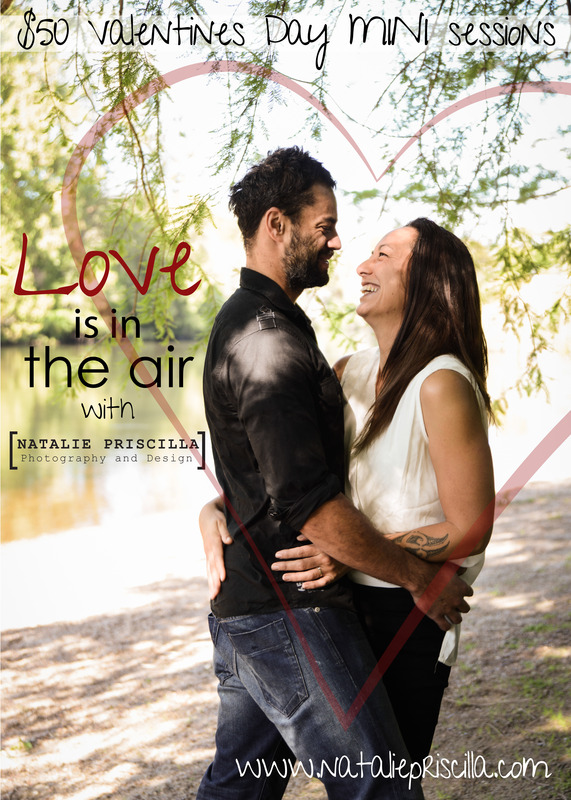 Email: info@nataliepriscilla.com with your preferred time and we will book you in.